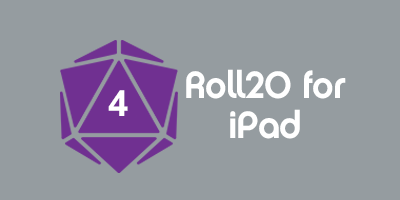 This page will offer tips and suggestions for using Roll20 to enhance your in-person game play. Please add additional tips and update this page as needed. Roll20 offers many features for GM's and players. It's only natural to want to include them at our real-world gaming tables. Here are some tips and suggestions to help enhance your real-world table. 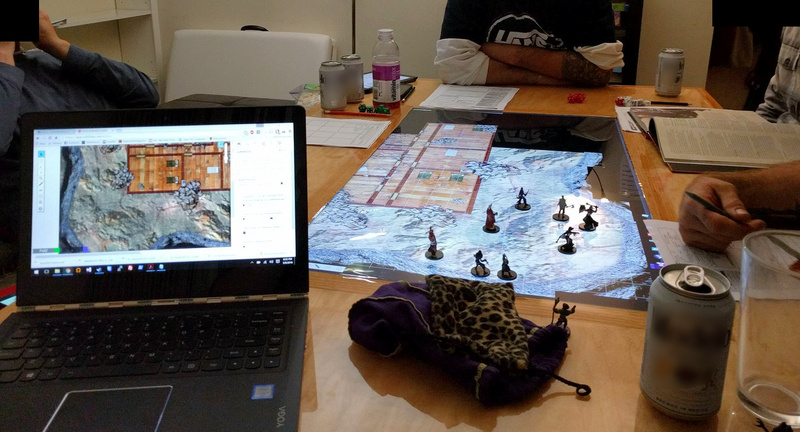 A common setup to enhance your home game with Roll20 is to add computers to your tabletop game. This typically consists of using two or more computers. One for the GM and at least one other computer for the player(s). You may also want to add a TV/Monitor as well. 1. GM Computer: Use one computer for the GM logged into the GM's account. Like a "GM's screen", this will be for the GM's eyes only. Use Roll20 to quickly bring up NPC, monster, or character stats. Track initiative and turn order for combat. Roll dice and use custom macros to resolve various scenarios of your game. The list goes on. Including a GM's computer with Roll20 access may be all you require, however adding additional computers for players offers significantly more options. 2. Player Computer: Add additional screen(s) for the players. The best method for your group will depend on what you wish to accomplish. A. Just show the players information. e.g. Maps, images, handouts, initiative, dice rolls, etc. Option 1: Add another computer and log into the game as a player. Just remember, all players will see what the logged-in player's character sees. You may want to create a "dummy" account that has permissions set to control/edit all the other PC's or just a single character that represents the party. The GM can also control the "Player's" token(s) or allow a player to manage the player's actions. Option 2: In addition to option 1, add a TV/Monitor to the player's computer. Connect to a 2nd viewing source using the appropriate cables, or connect wirelessly using Chromcast or similar device. You may want to include a wireless mouse and keyboard as well for convenience. 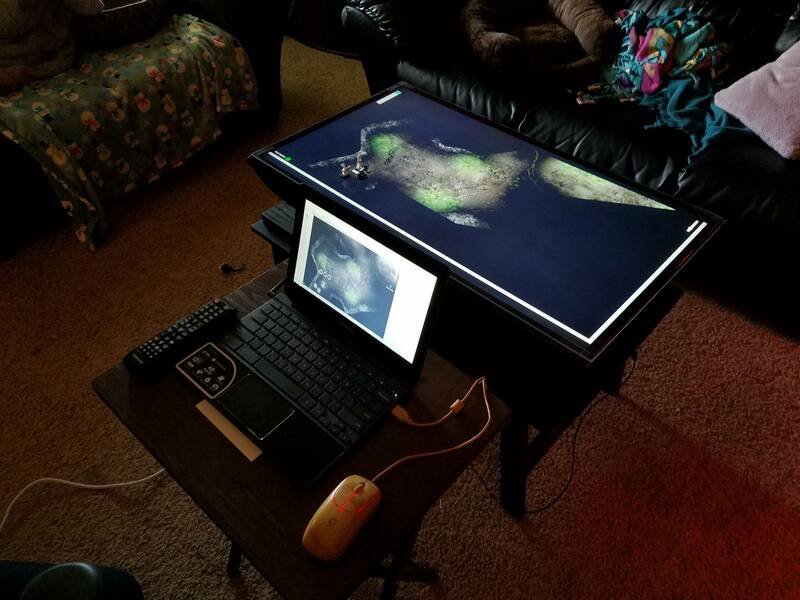 Some people have even made gaming tables that include a TV/Monitor as the actual tabletop. Option 3: You can connect a TV/Monitor to the GM's computer and use a separate browser window/tab for the player account and send that view to the second screen. B. Each player controls their own character. Option 1: Use multiple computers with each player logged in separately. Not much different than playing online, but you still get the face-to-face interaction. "The script will remove the controlledby setting on the character sheets specified in the script which will show vision only for the token at the top of the turn order. Unless it is an npc or other token or custom item." "I threw this together to allow GMs to designate a Player (probably an alternate account) to be an Observer. Observers are kept on the ControlledBy list for all characters that have something else on that list (PCs)." Create a bookmark in your browser and paste the code below into the URL field. To hide the Roll20 UI, simply click on the bookmark once the Roll20 editor has loaded. Refreshing the editor will restore the UI. Adjust the parameters as needed. For example you could remove elements from the bookmarklet code above for sections of the UI you may not want hidden. This page was last modified on 21 March 2018, at 15:27. This page has been accessed 53,825 times.